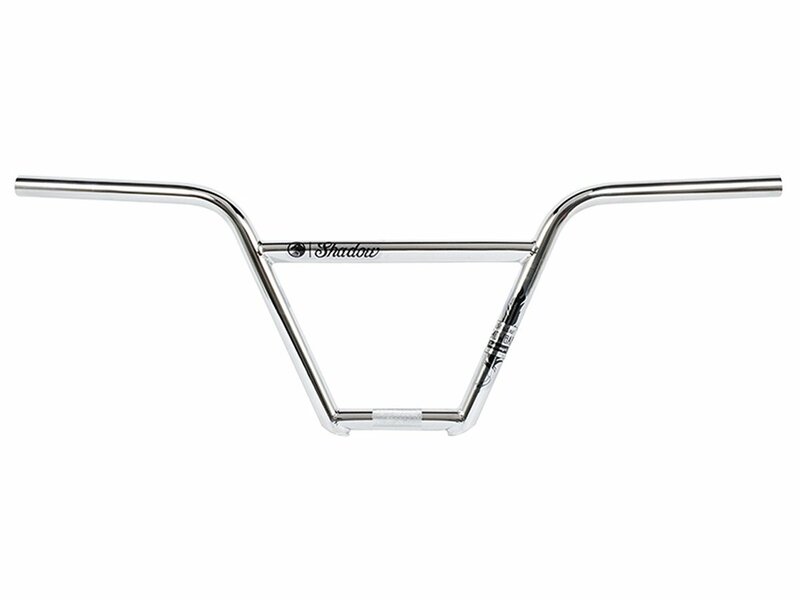 The The Shadow Conspiracy "Crow Featherweight 4PC" BMX Bar - Chrome is Johnny Devlin's Signature bar and uses 13B tubing profile which varies in thickness throughout for weight savings while still keeping the strength. It got after welding heat treatment and the crossbar has a unique tear shape and is 13 times butted. The The Shadow Conspiracy "Crow Featherweight 4PC" BMX Bar - Chrome comes with a width of 29" (73.66 cm) and a backsweep of 10°.